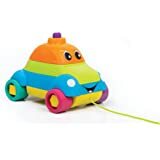 Funskool giggles push and crawl monkey, is a safe, visually stimulating fun toy for infants from six months plus, who are all eager to move and crawl. 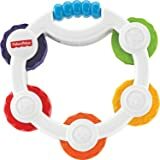 Preferred gift to encourage infant crawl and interact by pushing. Sound of rattling beads, and smooth soft curves delight infants. 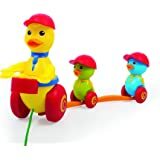 Designed to support the initial gross motor skills the toy is safe to hold and play too. 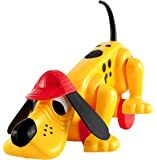 The push and crawl concept behind the toy helps with physical and visual development. 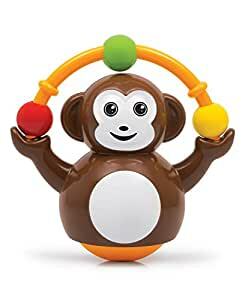 This monkey is fun and playful, and will act difficult to catch adult supervision is recommended for overall safe playtime from the manufacturer sight, touch, sound and action: Funskool giggles push and crawl monkey is designed with visual appeal, smooth to handle, sound to attract toddler on movement, rocking action to encourage toddler crawl forward. 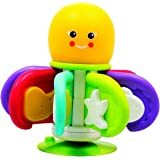 The toy fits into baby's little hand to grab easily, and is a perfect crawling toy. Skills development: Perfect toy for gross motor skills and sensory skills. 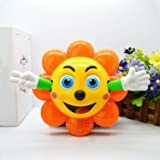 The little monkey can keep your kid busy and greatly cultivate the children’s imagination, exercise their practical ability and bring them endless fun.